Home Administration App Pool IIS Security SharePoint Utilities How to Retrieve IIS Application Pool Password in SharePoint? How to Retrieve IIS Application Pool Password in SharePoint? 2. 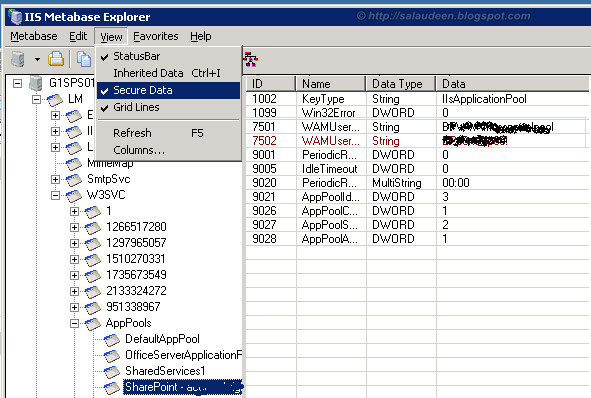 SharePoint Manager - Excellent tool for exploring the server objects. Just navigate to the target application pool, get the password from properties pane.